The course is made up of 8 modules, 7 of which are simulated negotiations that you will conduct with animated computer characters. The characters make statements, ask questions, use difficult tactics, express strong emotions, and otherwise create difficulties for you. You will have to react to what the character says, answer questions, ask other questions, and try to negotiate the best deal. If you do not negotiate the best deal, you will be told why and asked to try again. If you get stuck, a “help” feature will point you in the right direction. In the simulated negotiations, you can experiment and act in ways that you would never consider in the real world. You will learn not only from your successes, but also from your ‘failures’. 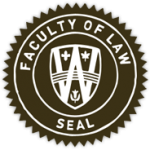 Once you have negotiated the best deal, you will be able to review Notes setting out the theory of why a particular approach was successful and discussing how the concepts you have used can be applied in the real world. The Notes also provide tips for future negotiations. You will be able to download all 67 pages of the Notes at the end of the course and therefore have a short book to keep as reference material. This course is part of the Executive Certificate in Conflict Management and the new Advanced Certificate in Workplace Coaching. Negotiation with a competitive bargainer. Negotiation with someone who does not want to talk to you. A self-assessment tool to determine your negotiation tendencies with tips on how to maximize the advantages and minimize the disadvantages of each tendency. Negotiation with someone who makes strange proposals and tries to use Game Theory to outsmart you. Negotiation with two people simultaneously. Multiple negotiations with a number of difficult people who use tactics to try to get the better of you. Anyone who negotiates can benefit from this course, – executives, managers, professionals, sales agents, entrepreneurs, customer service representatives, educators, business school students, and administrators will all become more effective in their jobs and will be more persuasive after taking this course.  Upon completion of the course, you will be awarded a Certificate from the University of Windsor Law School. Your certificate can easily be printed from your computer. Very worthwhile. Good, realistic scenarios. I found it very challenging. The opportunity to go back and learn (the hard way!) was very beneficial.